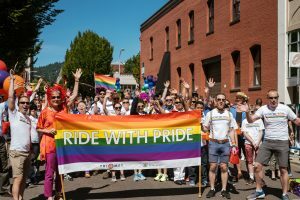 TriMet is your travel ticket to celebrate Portland’s Pride Festival and Parade this weekend. We’re also proud to be a participant in the annual event that celebrates the LGBTQ community and attracts thousands of visitors to Portland each year. The festival runs Saturday and Sunday, June 16-17, and features events around Downtown and Tom McCall Waterfront Park. 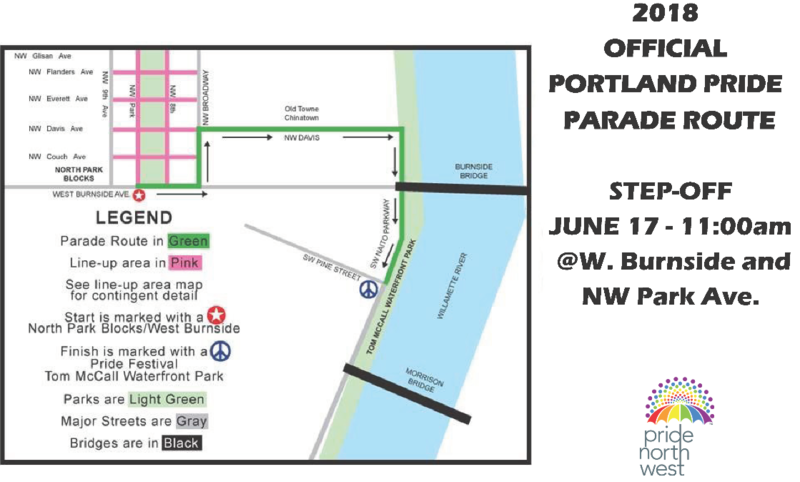 Up to 20 bus lines and all MAX lines serve the Portland City Center and can drop you a short distance from whichever event you plan to attend. Go to trimet.org/planner to easily plan your trip. Two marches – the Trans Pride March and Dyke March – take to the streets Saturday, June 16 from about 2 p.m. through 7 p.m. 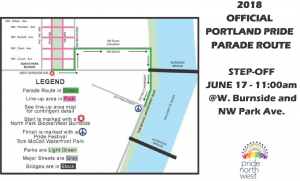 The Portland Pride Parade steps off Sunday morning, June 17 at 11 a.m. through about 1:30 p.m. and is expected to draw more than 60,000 people. Go early. MAX lines may experience minor delays as trains hold at times during the parade and marches. Buses that intersect the routes also will stop at times and three bus lines – 17, 20 and 77 – will be detoured. Check TriMet Alerts before you go. Remember, fares are required on all TriMet buses and trains. Hop to the Pride festivities! Use a Hop card purchased at one of hundreds of local retailers, load it with value and then tap and go. Learn more. Don’t ride often? Just pay with your phone. If you have a bankcard stored in your mobile wallet (Google Pay, Apple Pay or Samsung Pay), just tap against the green Hop reader, confirm the purchase and go. You can only pay the adult fare but it’s a convenient way to go. Learn more. Have an Android device? Buy a virtual Hop card at the Google Play store and load it into Google Pay. Tap the phone to a Hop reader and get all the benefits of a plastic Hop card. 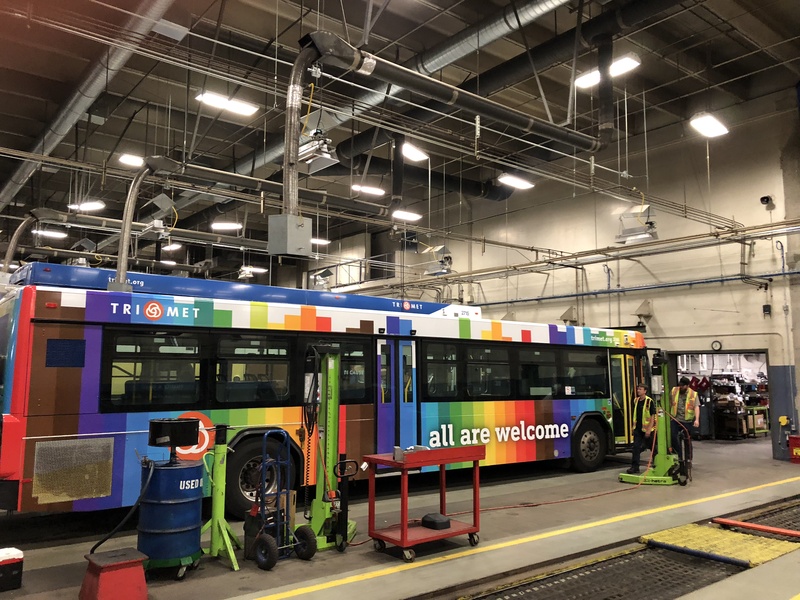 TriMet respects the civil rights of all the people we serve. 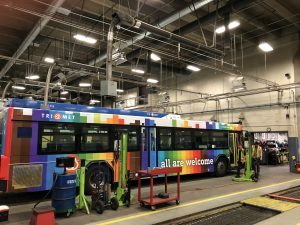 This is TriMet’s third year of actively being a part of Portland Pride events. It’s a natural fit for our agency, which is committed to promoting and facilitating inclusivity and that celebrates diversity throughout the organization. 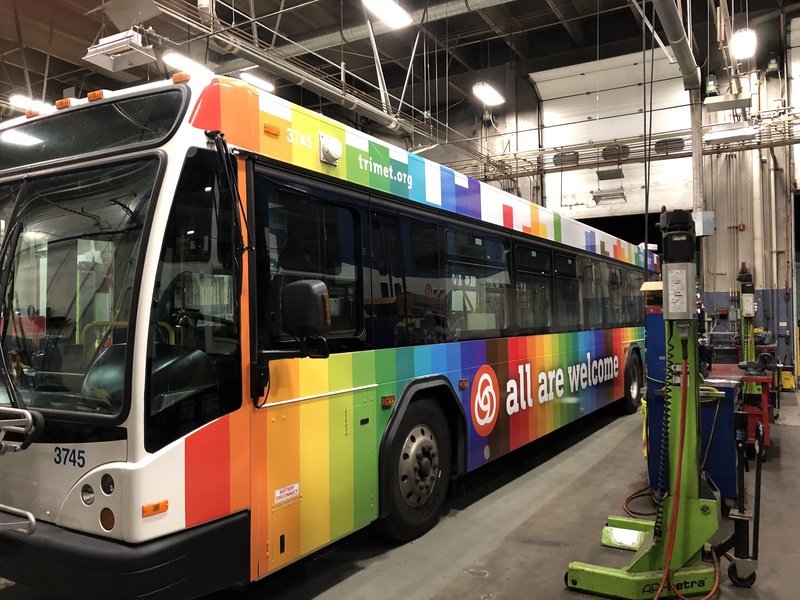 Look out for our bus that will be in the parade!